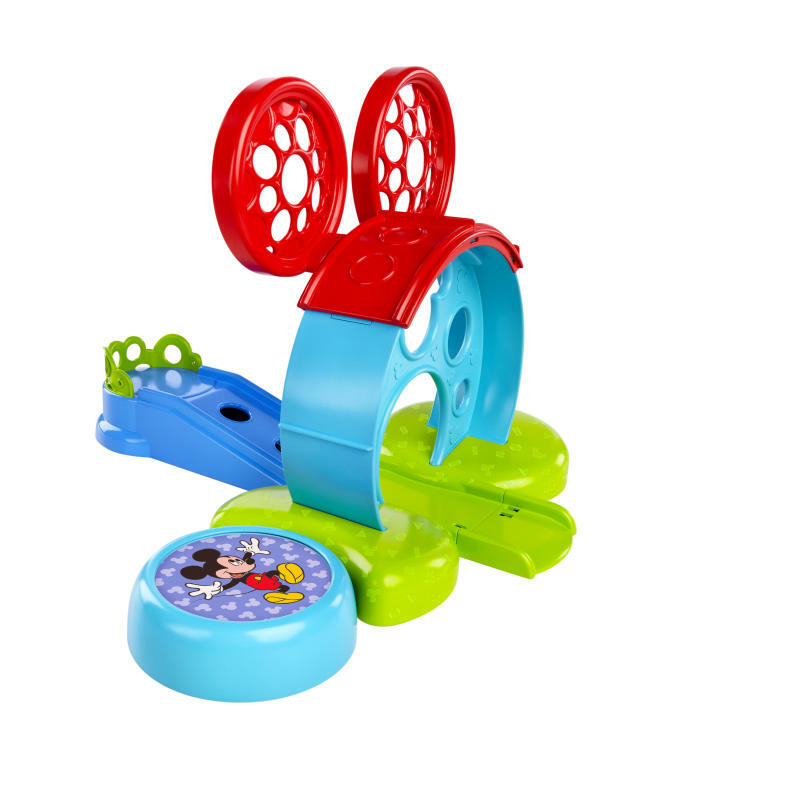 Disney Baby MICKEY MOUSE Bounce Around Playset is rated 1.0 out of 5 by 1. Mickey Mouse brings imagination to life with flying cars! Dimension (in) 15.5" x 6.5" x 13"
Rated 1 out of 5 by D from Can't be assembled correctly Bought two of these from Target. Neither could be assembled correctly. The connections are backwards. The top portion, which is meant to project the car onto the trampoline, connects incorrectly to the bottom. The projecting portion therefore faces the wrong way. The toy cannot be used that way. Only the small ramp at the bottom can be used. The cars (bought an extra set to go with this toy) are cute and easily picked up, manipulated, but still the set is disappointing.